The 2015 Toyota Camry has been showcased at the 2014 New York International Auto Show. 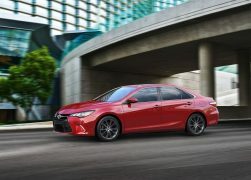 The car has been given a comprehensive redesign, just like the 2014 Toyota Corolla. 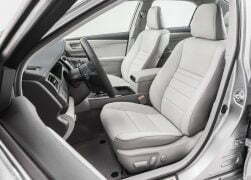 The aim of the new model is to appeal to the younger demographic and thus it gets more angular styling, better interiors and a stiffened chassis for better handling. The traditional customer base of the car has not been forgotten though, as it gets even more luxurious than before. It is possible that India may not get the same car, as is the case with the Corolla. India may get a more sedate variant (in terms of styling) to keep the ‘luxury’ aura around it intact. Expect Toyota to announce a different variant for European markets later, which should be the model that will be introduced in India too. 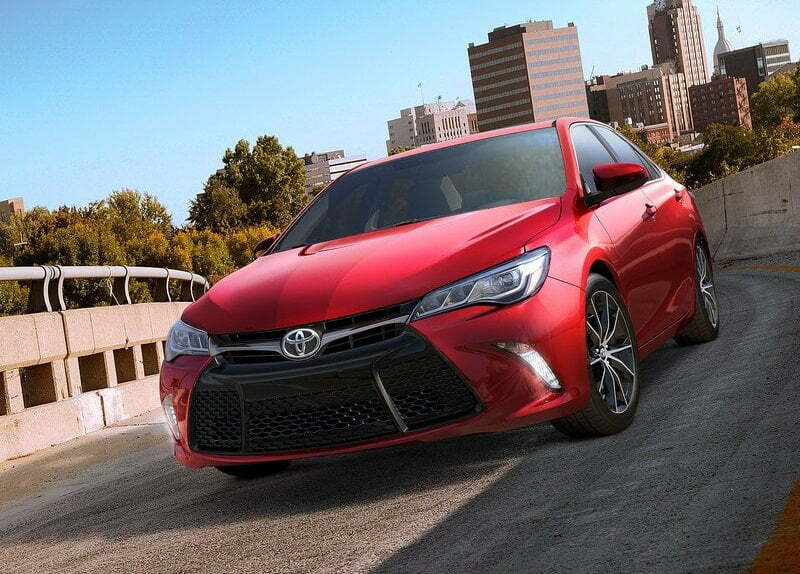 As mentioned earlier, the new Camry has been redesigned significantly to make it look more sporty. 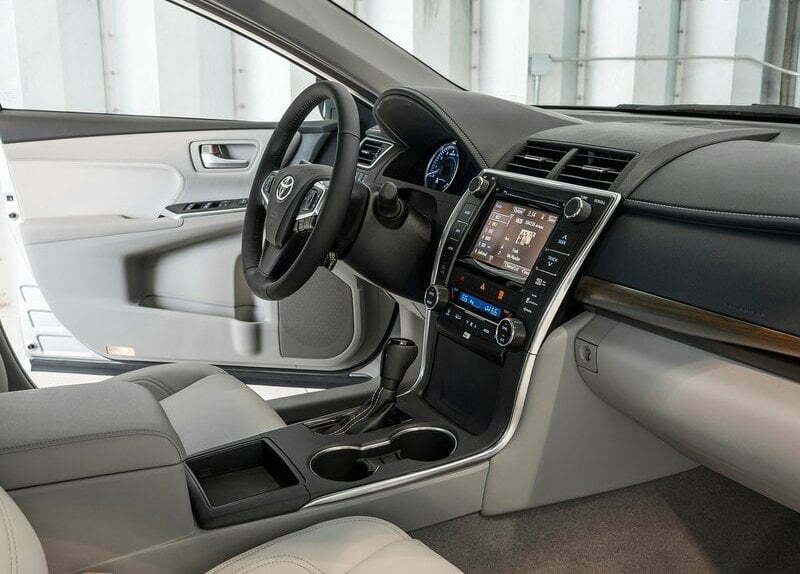 The Camry has been the best selling sedan in the US in its segment and was been criticised for its very boring looks, the new car hopes to address those critics while making the car even more luxurious. New variants have been added to attract both those looking for a stylish, good handling sedan and those looking for a fuel-efficient, contemporary looking one. 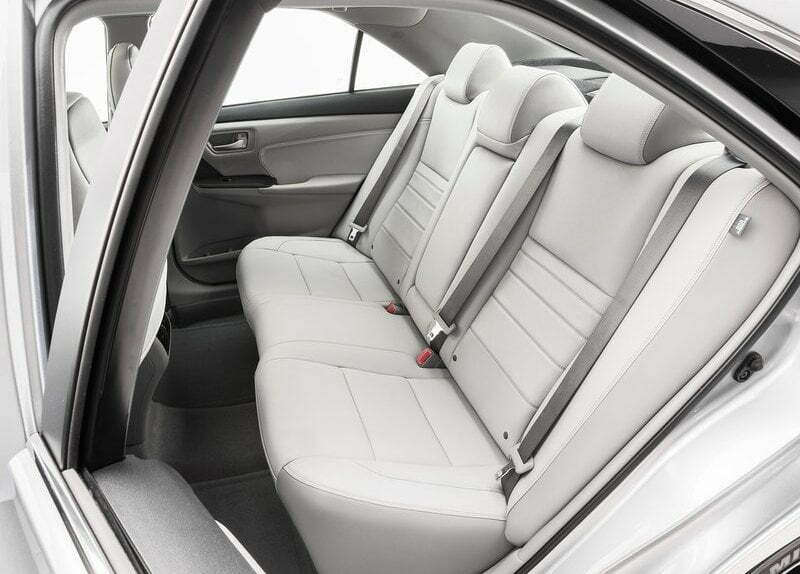 The new Camry has been given a total redesign, every panel except the roof is new. 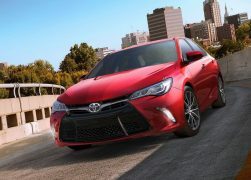 Toyota describes the exteriors as ‘athletic’ and you will have to agree that the car does look pretty sporty. The front os much sharper than the current model, with sleek headlamps that take some inspiration from the FT-1 Concept. The sculpted bumper with the huge air-dam flanked by LED-daytime running lamps look menacing. The hood features a prominent power-bulge with other creases giving the front some more character. 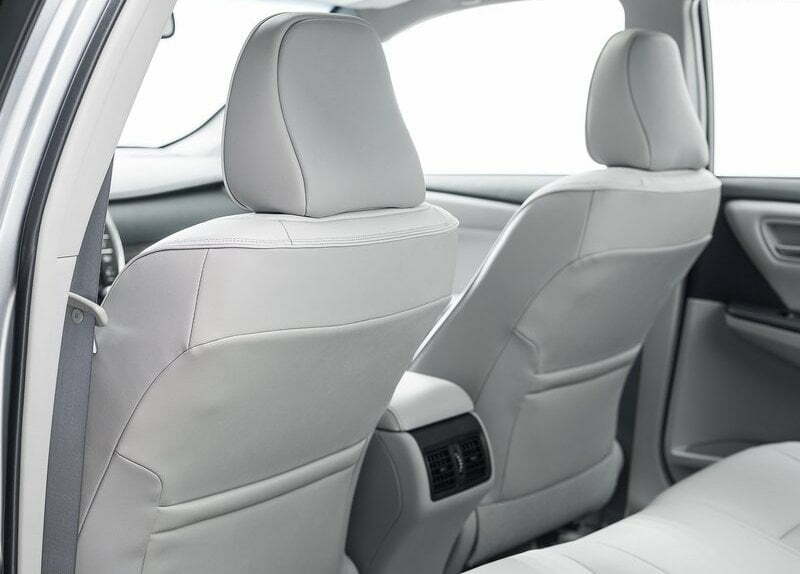 Move to the side and you notice that the car loses some of its girth thanks to the new design. The rear seems more sleeker thanks to the redesigned bumper and new tail-lamps. The sharply rising line at the side gives the car a dynamic look. The car has grown slightly in terms of length, 45mm to be precise. Move to the rear and the new bumpers help the car loose a lot of bulk as compared to the current model. The redesigned tail-lamps could have been better though, they remind us of the last-gen Honda Accord. The twin-tailpipes look sporty, and so does the new sharper bootlid. 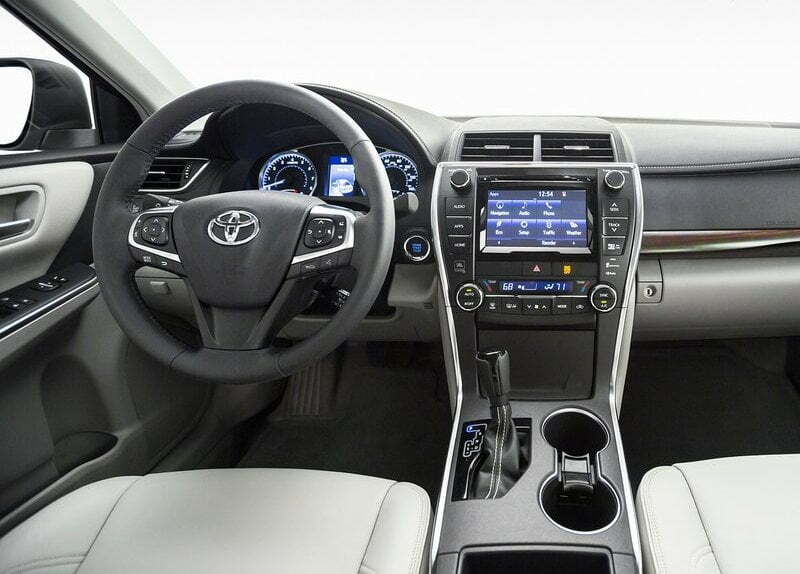 The changes made to the interior of the Camry are not as radical as those made to the interior. 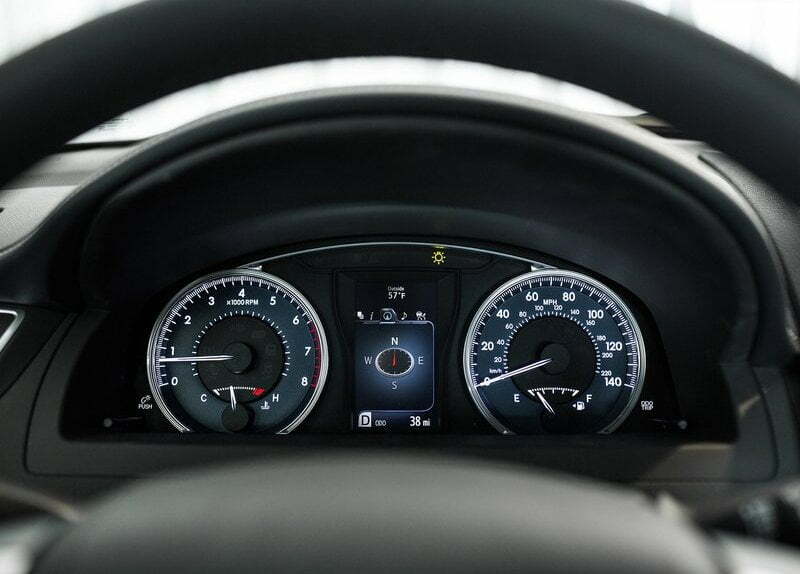 The basic layout of the front dash has not changed much from the current model. 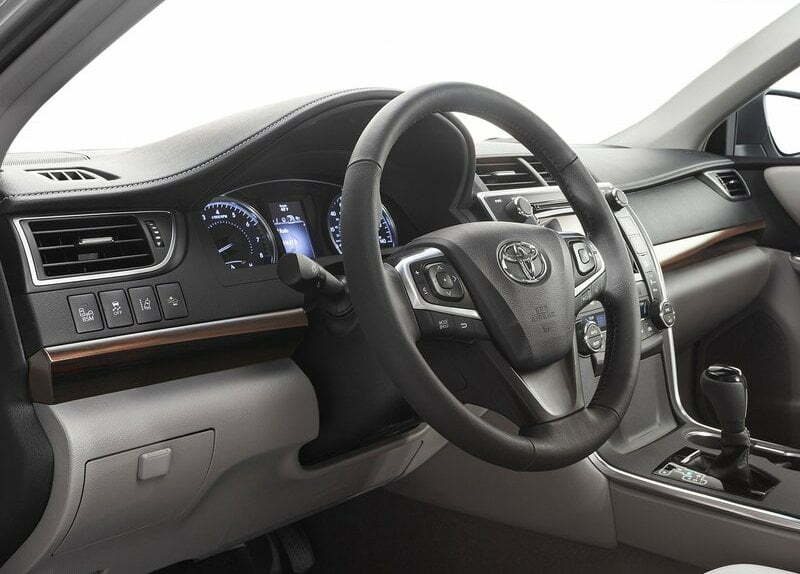 Changes include the new three-spoke steering wheel, the two-pod instrument cluster with the 4.2-inch multi-information display, a new storage bin in front of the grear-lever which includes a 12V charging socket, USB-connector for the multimedia-system and a wireless mobile charging pad (which may not make its way to the Indian variant). The centre console looks sleeker than before thanks to the chrome surrounds that go all the way from the top till the bottom. Toyota has also spent time on making the cabin quieter than before, this is a luxurious sedan after all. 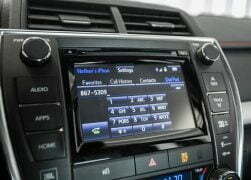 The biggest change made to the Camry is the fact that now it is better focused on handling. Changes made to the chassis, the suspension and steering setup mean that the 2015 Toyota Camry can corner better than before and be better overall as a driver’s car. The brakes have also been revised to provide a confidence inspiring ride for those who like to drive their cars hard, the company claims. Engine options in the US include a 2.6-litre 4-cylinder petrol, a 3.5-litre V6 petrol mated to a 6-speed automatic transmission or a 2.5-litre hybrid unit mated to a CVT. Expect the Indian variant to continue with the 2.5-litre 4-cylinder petrol motor when launched in India. 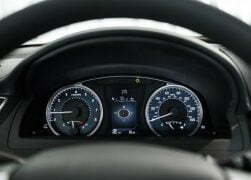 The hybrid variant will be launched in India later as the current Camry Hybrid was launched in India late in 2013. What do you think of the 2015 Toyota Camry? Let us know in the comments section below. 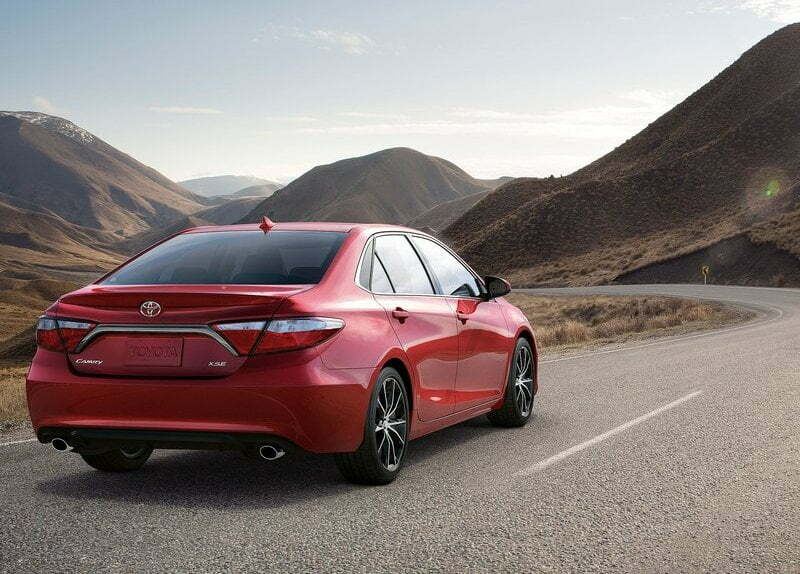 Expect Toyota to launch the new Camry in 2015, stay tuned to Car Blog India for more news.